This particular lamp represents one of the earliest styles of MB lamp made by the company. It employs a hand-made arc tube and the style of the packaging is a type which was phased out before 1950. The date code of 72 can therefore be translated into a manufacture date of December 1947. 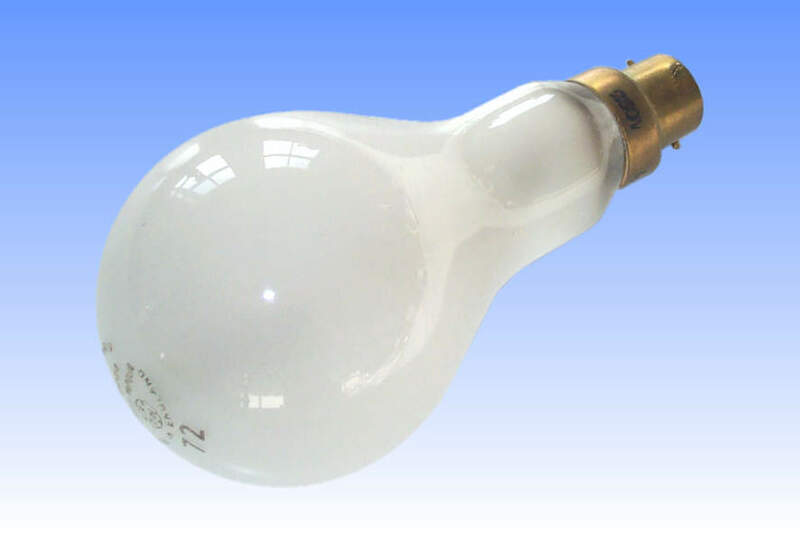 The first mercury lamp placed on the market was the MA style having a hard glass arc tube and rated 400 Watts, but lamps of lower wattages soon became quite desirable. A 250W MA lamp was introduced and shortly after a 150W version arrived, but luminous efficacy fell sharply as lamp wattage was reduced. Lower wattage lamps need to operate at higher temperature and pressure to keep them efficient, and the special aluminosilicate glasses developed for the MA arc tubes were not sufficiently refractory. Quartz has an even higher melting temperature, but it was not until methods has been found of chemically purifying it to lamp quality levels that it could be adopted. Even then, sealing metal wires through it was very difficult because quartz expands and contracts at a rate ten times slower than most metals. The answer lay in a thin strip of molybdenum foil, so thin that the quartz barely knows it's there, and having feathered knife-edges which can deform when the foil expands laterally. The seal was invented by D. Gabor, working with BTH and British Siemens at the time, and the 80W and 125W MB lamps were launched. The hand-made arc tube has one seal at each end for the main electrodes, and a side-arm with a third seal for the auxiliary electrode. A 'pearl' GLS shaped bulb was necessary to diffuse the glare of the intensely bright MB arc tube. Manufacturer: The British Thomson-Houston Co. Ltd.